[wpcf-summary-description] => This poem is commended in the 2018 August Challenge #2 found poems, on Young Poets Network (YPN). 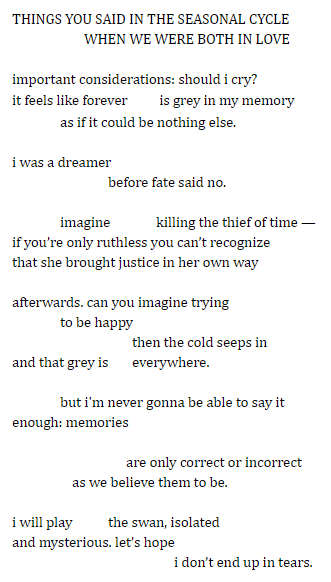 This found poem uses phrases taken from a conversation between the poet and a friend. This poem is commended in the 2018 August Challenge #2 found poems, on Young Poets Network (YPN).